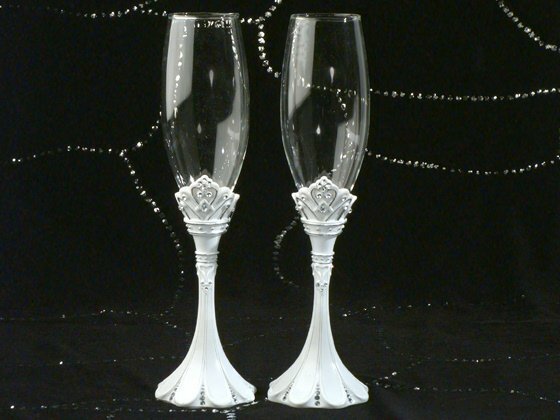 Raise your glasses to starting a new life together with our elegant Royalty for a Day toasting flutes. 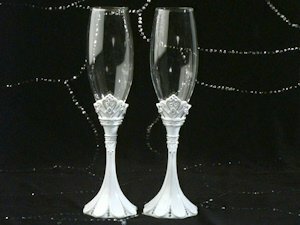 Each set of 2 flutes have durable resin stems with tiara shaped bases and perfectly placed crystals. Measures 10" high and comes individually boxed. Also search our site for the entire Royalty for a Day Reception Set - which includes cake servers, toasting flutes, guest book and pen set.